A few weeks ago I wrote about condensing time in kata. Click HERE for a recap of how that can be done. In this second post of the series, we are going to look at an entirely different approach to creating realism in your kata training. Rather than condensing a sequence of moves to take up less time, Expand the number of moves in the sequence. “But wait,” you say. “Isn’t that changing the kata?” Absolutely. “Isn’t that against some law, somewhere?” It might be! But remember, this is for your own personal practice. I am not suggesting replacing the original kata. Exercises like these are to be done in addition to your regular training. Don’t teach your expanded version to others. The goal is to better understand how these moves really can work in combat. And, as you will see, nothing is replaced in the original sequence. All the pieces stay the same and you simply fill in the “holes” around them. For an example, let’s consider the movements we used in the previous post. You look left, turn and step out with your left foot while blocking down (in this case) with your left hand; then step forward with your right foot while punching with your right hand. When you run through them as described, you will notice that there is a lot of time between moves. This is particularly apparent if you have tried the condensing exercise. Even if you do them fast, the block and the strike are each tied to a step with either your left or right leg. This convention means that the hands cannot move faster than the feet. So, let’s add a movement. After your left down block, try raising that left hand and executing a left outside middle block, while you are stepping forward with your right punch. You have just filled a hole and protected yourself during a gap in the timing between techniques. Neither of the original techniques was slowed down by this addition. The kata is intact. Want more? After the left middle block, bring your left hand back across your center line for an additional block/cover… all before the right punch (and right step) lands. We have now successfully expanded from two techniques to four in the same amount of time. If you start playing with your right hand as well, adding more covers and blocks, you can take this up to five or even six techniques. Now your hands are moving faster, covering open areas on your body, knocking away various threats, and allowing you to close distance and deliver that punch; all this off of the first two moves from what, for many, is the first kata they ever learn. Start applying expansion in other sequences and the possibilities are endless. Just remember that the goal is not to complicate the sequence. 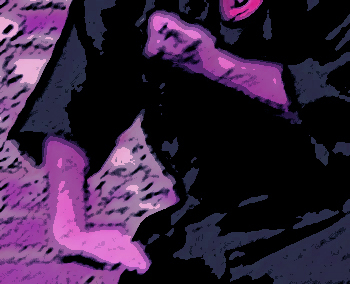 The goal is to protect yourself while moving, to engage your imaginary opponent in real-world time, and to start seeing the kata movements as practical fighting technique. In my mind kata does not equal technique. Taika brought up the Kumiwaze or combining movements from various kata to make technique. The Kumiwaze were kata pairing that Taika thought would help us see the connections. When you did the kata in pairs over and over your mind would start to see connections between movements in one kata to the other and that would lead to actual technique. It is very cool when you see a connection and then can put it into application. That is where true technique comes into play. It has to come naturally and smoothly without anger or tension but can’t be taught. I remember Taika saying, in paraphrase, “I can’t teach you how to do this but I can tell you that if you train the way I’m teaching you then you will get here too.” That’s the gist but not the words of course. Studying kata is an art and not a science. It isn’t about does the hand move 78 degrees or is it 79.8 degrees? It’s about “how body works.” I hear Taika saying that all the time in my head and putting that into how you move in the kata is a key for me. I am looking for where we “disagree” and I can’t find it! The terms you use such as “action” and “personal” are very much what I am trying to describe, but using more general terminology. I agree that these additions aren’t changes but I think many martial artists outside our style have never thought about kata this way. I think I need to have you clarify whether you think that adding the covers/blocks/atemi into the kata movements make them technique or do the just help fill in the gaps during technique? Well darn. We do agree. Go figure. Heh heh. One thing I’ve taken from training is that kata doesn’t contain techniques but pieces of techniques. You have to combine these various pieces to make a technique. Whether that be from various katas or various parts of the same kata. It is funny to watch the contrived things people go through to make a set series of adjacent moves in a kata into technique. “If the aggressor does x, y, and z in that order then it works.” Unfortunately no one would ever do x, y, and z in that order because it makes no sense unless you want to fit your attack to a portion of kata. Sheesh. That’s along the line of Naihanchi being done on a castle wall and Kusanku being done on stairs. Really? Ever walk an Okinawan castle wall? I have and you aren’t in danger of falling off. I need to get an Okinawan fix soon! Good thing I’m going to be in Vegas next week and can stop at Satoya for some soki soba! Yum.